Our candidate is, by breed and geographic happenstance, a Golden Retriever. She is pictured here beside Clear Creek in her hometown of Golden, Colorado. She is self-educated, having been denied access to public schools because of her canine ethnicity. At ten years old (that's still younger than John McCain, even in people years), she has the maturity and a dog's sixth sense about people that will make her a great president. Cleo grew up in her back yard in Golden. Until she was nearly six, she shared the yard with her mentor, Nugget, also a Golden Retriever, who passed away at age 15 in 2004. Always an avid follower of current events, Cleo started her own newspaper, THE GOLDEN BARKER, in 2006. She was appointed national chairdog of the Whag Party in 2006, and declared her candidacy for president in 2007. 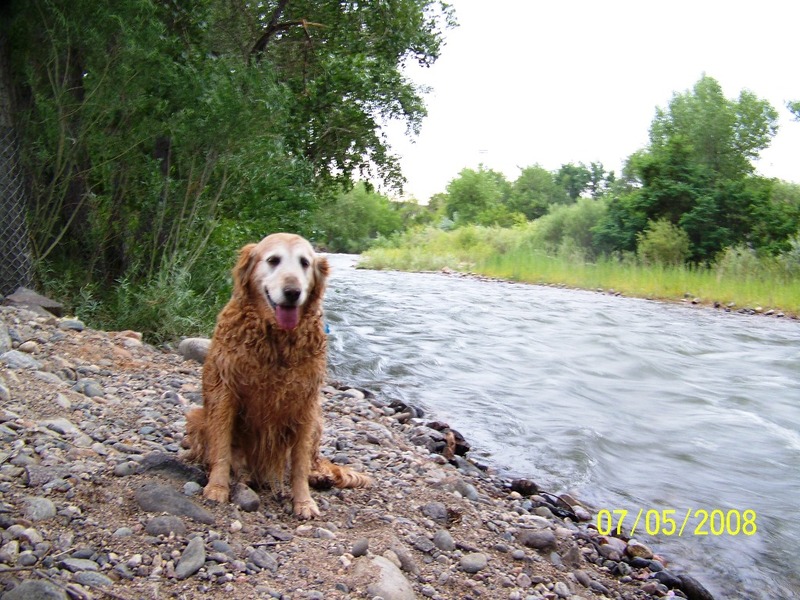 As her campaign gained momentum in the summer of 2007, Cleo was joined in her yard by Augie Doggy, yet another Golden Retriever, who has proved himself a loyal companion on both the Clear Creek Trail, where Cleo takes her daily walks, and on the campaign trail. When she's not involved in changing America, Cleo likes to bark at squirrels and chase rabbits.